With the “ISIS crisis” occupying the headlines in Europe and North America, the US and NATO military operations in Afghanistan have been all but forgotten in the media. Image by Dept. of Defense. On December 28, 2014, US President Obama announced that after thirteen years of combat, the longest war in US history, the war in Afghanistan, was ending. However, the president pointed out in the same speech that US forces would, in fact, remain in combat in Afghanistan. The war that is “over” is not over. In attempting to interpret and understand the President’s intent in Afghanistan, I am left in the precarious position of trying to extract facts from a political speech. In the above paragraph, we see the source of the “war is over, but not over” dilemma that the president and our troops at risk face in Afghanistan. Clearly, the president and most Americans would love for peace to reign in Afghanistan, or at the very least, for Americans to no longer suffer the consequences of the complete lack of anything like peace in Afghanistan. While President Obama mentioned the sticky detail of the “remnants of al-Qaeda,” he failed to mention the larger obstacle to peace—namely, the Taliban and its dozens of local “taliclones” opposing peace and civilization in Afghanistan. President Obama’s commitment to a “united, secure, and sovereign Afghanistan” is in keeping with US political opinion, but is, unfortunately, not at all descriptive of the reality in Afghanistan as it was on December 28, 2014, nor as it is today. We in the US find ourselves again in a dilemma that resembles President Lyndon Johnson’s view of the Viet Nam war. The war that Johnson saw, understood, and valiantly attempted to manage was not terribly similar to the war that actually occurred in Viet Nam. My guess is that in reality, President Obama understands Afghanistan better than his speech would indicate, so I assume that the speech was a political exercise rather than an expression of the president’s real view of Afghanistan. He knows it’s not over. While most of us in the US were glad to see the Afghan people conduct their first democratic election, that election, unfortunately, has not led to any sign of unity in the Afghan political system. 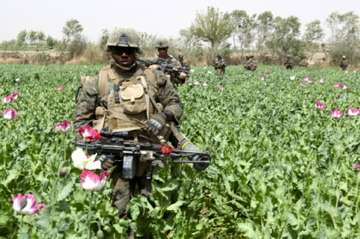 Being ever the incurable optimist, I hasten to point out an interesting, though less noticed, phenomenon in Afghanistan. The young people of Afghanistan are learning to use social media, and judging from their correspondence, they are more practical, more civilized, more intelligent, and far more united than their elders. They have clearly expressed that they want a functioning democracy and won’t let tribal loyalties and factionalism get in their way. In practical terms, it seems that we will have about 11,000 US forces in Afghanistan instead of the previously estimated 10,000. NATO will continue in its feeble efforts by maintaining 2,000 troops in Afghanistan to back up the usual idealistic and vague European political agenda. Political speeches and media trends aside, what might we reasonably expect from Afghanistan? My best guess is that any hope for civilization in Afghanistan resides with its not-yet-empowered youth. Too many of Afghanistan’s most educated people reside outside of Afghanistan, and most of them have no intention of returning home. We have to consider that the ongoing national political schizophrenia in neighboring Pakistan will continue to allow various tali-brand bandits to wage war against the Afghan people. The American public’s dwindling enthusiasm for paying the Afghan bills in blood and treasure, combined with the fact that most European nations have never been willing to contribute much more than rhetoric to the Afghan war, means that the US will remain in combat in Afghanistan as quietly as possible for another ten years. As the next generation of Afghan leaders gradually replaces the current gang of intellectually arthritic old men that currently fail to run their country, hope for a “united, secure, and sovereign Afghanistan” will finally become more than political dogma. New Zealand military personnel made a contribution to the recent US-led efforts in Afghanistan, both in combat – via our SAS – and through peace-keeping and direct humanitarian support. Willie Apiata won a VC for his part in a particularly intense fire-fight, and I’ve heard stories from friends in the army that there have been other, unrecognised acts of heroism by Kiwis in the same theatre, working alongside US forces. Of course the NZ contribution can only ever be small; we are a small country with a tiny army of just 4500 regulars. That said – and setting aside the internal issues currently facing Afghanistan – the history of any intervention there indicates that it’s always expensive in money and lives, and it usually doesn’t produce anything tangible. The details of why that’s so change, as do the reasons for the intervention. The outcome doesn’t. The British learned that in the 1840s and again in the 1880s with their ‘great game’. The Soviets learned it in the 1980s. It was an apt commentary on the point that John Watson was portrayed as having served in 1880s Afghanistan in the original Sherlock Holmes stories – and in 2000s Afghanistan in the re-imagined TV series. From this perspective, any renewal of the effort does, somehow, seem a little fraught with risk. But as you say, there’s a potential that a new generation there will bring a change of attitude in due course. Hi Matthew. Thank you to all New Zealand forces that serve or have served in Afghanistan and to the voters that allowed them to go. I have no doubt that most acts of courage by New Zealand troops and by all other troops will go unheralded. It has been my observation that in any war, combat decorations are only given to a fraction of the individuals that deserve them and, in some cases, given to a few that don’t deserve them. SAS units are particularly famous for being stingy with combat decorations. To put force contributions in relative perspective, at its peak contribution, NZ contributed 55 troops per million of national population. The UK contributed a peak of 154 troops per million of national population which places the UK right behind the USA at 291 per million of population and Georgia at 219/M population. Only tiny Tonga made a greater contribution than the USA in manpower relative to their national population. For a brief time Tonga has had 55 troops in Afghanistan which amount to 528/M population. Even the smallest contribution contributed moral support to the effort. Interestingly, while the nearby Islamic countries have the greatest vested interest in the conditions in Afghanistan, only Azerbaijan (a neighbor of Afghanistan), Jordan, and UAR made minuscule contributions to the effort. The rest of the region’s countries have given nothing other than frequent criticism for how the US and the broad coalition of non-Islamic nations have handled the fight to establish civilization in Afghanistan. We should never forget that for those troops serving in Afghanistan, their level of commitment amounts to 100%, regardless of their home nation’s statistics. I thank them all. None of them are responsible for how well or how poorly the USA and other nations have responded to the tragic disaster that is Afghanistan.